Hero Shave: If you know Matthew Couch, then you probably know about his beard. As MortgageCouch’s one year anniversary was nearing, Matthew had the idea of shaving it off at an event he and Shelby created called “Hero Shave.” Those who attended the event had two donation pots that they could give to. The proceeds went to three Veterans charities (our Heroes): The Cal-Vet Home Ventura, Veterans of Foreign Wars Post 1679 on Market St, and the education fund for the children of a past shipmate of Matthew’s. One donation pot was for Matthew saving his beard, and the other was for Matthew shaving it. Needless to say, more money was donated to the shave-it pot. So on a June’s night in Ventura, fifty plus people with scissors and clippers in hand took turns shaving Matthew’s face. It was a lot of fun, and we raised over $1,600! We can’t wait for next year’s anniversary party! Be sure to check out Matthew’s rendition of “Should I shave or should I grow” on this YouTube video of the Hero Shave event! Click here to watch. 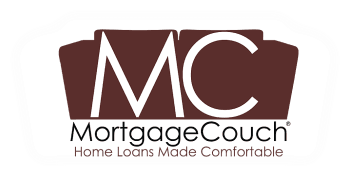 Meet Our Latest Addition: We are proud to announce that the staff of MortgageCouch has grown over the summer! Our latest team member, Angelica, is going to be managing the operational side of MortgageCouch. Be on the lookout for Angelica because you’ll be seeing more of her. Our New Website: If you’re reading this post right now, then it means that you’re on our new website. Besides being an upgrade from what we had before, the process of applying for a home loan through MortgageCouch has never been easier. All you have to do is click here, create an account, and you can apply for the home of your dreams… today! The application process only takes five minutes to complete. If you experience any problems while applying, please do not hesitate to contact us at (805) 619-3550. We’ll answer any questions you have. MortgageCouch Meets the Goonies: We are proud to announce that we are in the process of developing a physical branch in Astoria Oregon! To cement our growth there, we hosted a BBQ event on the beach we called “MortgageCouch meets the Goonies”on June 25th. The event was named this because Astoria is the setting for this much-beloved 1985 film. The BBQ was a family friendly event, and we met several wonderful Oregonians. Click here to read more about the event. Project Understanding: Many of our readers from Ventura are likely to recognize this organization, but you may not have known that over the summer members of Project Understanding unanimously voted Matthew onto their Board of Directors. Project Understanding is one of the largest organizations in Ventura that helps to feed and house those who are in need. If you would like to learn more about Project Understanding, or if you would like to help this wonderful organization, please click here. VC Fusion Team: MortgageCouch is a corporate sponsor for Ventura County’s Fusion Soccer Club! During home games, two lucky fans are given the best seats in the house, middle-field, on the MortgageCouch! In recent news, our Fusion Team recently snatched first place in the Ventura County Cup! This is just one of the many championships that Fusion has brought home to the City of Ventura since being founded in 2006! Click here to read the article about the victory.